Qigong (chee ghong) has been practiced as a health care/maintenence system in China for thousands of years (formally defined during the first Qin and Han Dynasties), and is the effective method to achieve and maintain *Postive Health*, as defined: The uninterrupted flow of life's energy, or *Qi*. Qigong consists of postures, gentle stretching, moderate movement and deep, mindful breathing to strengthen the vital organs, open the energy centers, and increase stamina. 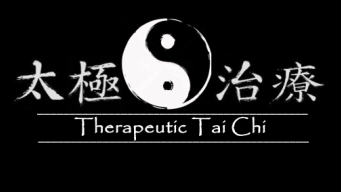 The Integrative Qi Gong component of the Therapeutic Tai Chi programs, while certainly not a Medical Qigong practice, uses contemporary/Western adaptations, complementing all traditional styles. Integrative Qigong forms are taught in universities, therapeutic recreation programs, park district and YMCA classes, and have been successfully presented at the annual conference of the National Qigong Assn., the premiere membership organization of practitioners of the healing energy arts in the United States. Gary is a member of the NQA, and has proudly served on the association's Board of Directors (2014 - 2017), and on numerous committees. 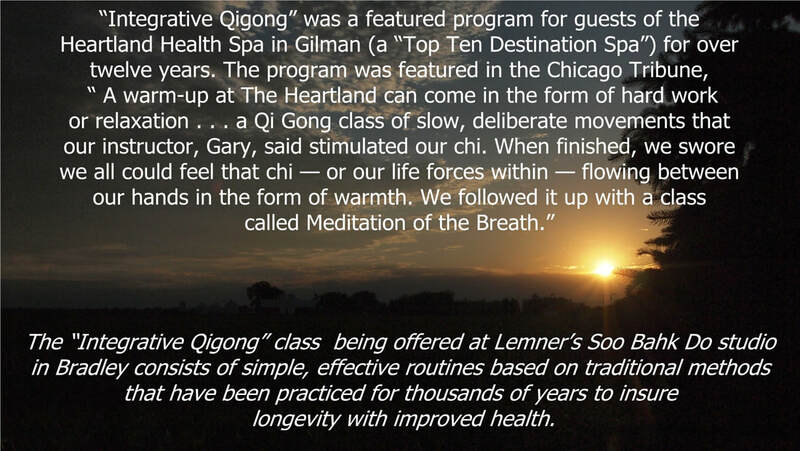 The in-depth "Integrative Qigong" class will be held at Lemner's Soo Bahk Do Studio - 485 W. Broadway, Bradley, IL on Wednesdays at 11AM - Please contact Gary at k3wellness@gmail.com for registration information.